In “Screwnomics,” Diamond shares personal stories, cartoons, and easy-to-understand economic definitions in her quest to explain the unspoken assumptions of 300 years of EconoMansplaining – the economic theory that women should always work for less, or better for free. It unpacks economic definitions, turns a men-only history on its head, and highlights female experiences and solutions, encouraging female readers to think about their own economic memoir and confront the system’s hyper-masculine identity. In the past 50 years, the U.S. has witnessed a major shift in economic theory, and yet few women can identify or talk about its influence in their own lives. Accessible and inspiring, “Screwnomics” offers female readers hope for a better, more inclusive future – and the tools to make that hope a reality. Rickey Gard Diamond began writing in the midst of big political change and growing American differences. 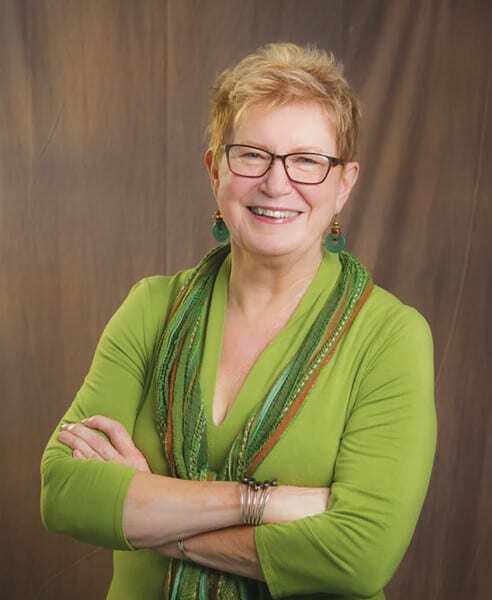 In 1985, she became founding editor of Vermont Woman, where she continues today as a contributing editor. She taught writing and literature, feminist and media studies at Vermont College of Norwich University for over 20 years, while publishing articles and short fiction. She was awarded a Hedgebrook fellowship in 2014 to create a book on economics that she envisioned would include cartoons and be readable and even humorous. This event is free and open to all. Donations to New Story Center will be accepted, which works to end the cycle of violence through support, education, prevention, and collaboration with all the people and communities of Rutland County. Phoenix Books Rutland is located at 2 Center St., Rutland. Copies of the book will be available. For more information, call 802-855-8078 or visit phoenixbooks.biz.